If signed into law, the Safer Trucks and Buses Act would affect truck and bus carriers, freight brokers, and anyone whose business depends on freight transportation. Carriers will see their safety scores temporarily out of publication, while freight brokers and shippers might have to rely on other data to choose the safest carriers to work with. In 2010, major changes were made to the Federal Motor Carrier Safety Administration’s guidelines and methodology for rating the safety of motor carriers. Since then, bus and truck operators have been subject to the new Safety Measurement System, in place of the previous SafeStat system. This change was part of the FMCSA’s Compliance Safety Accountability program, which Representative Barletta says was “rushed into usage and does not reflect changes made by carriers to improve their approaches to safety.” Rep. Barletta argues that the new measurement system, known as “SMS,” was implemented haphazardly, and that the FMCSA didn’t spend enough time developing the system, and addressing its flaws, before putting it into use. At issue is the current FMCSA policy of publishing the safety scores of truck and bus carriers. Rep. Barletta, in his introduction of the Safer Trucks and Buses Act, claims that these scores do not always accurately reflect the efforts of businesses to uphold a high safety standard. The Safer Trucks and Buses Act would enact some major changes to the FMCSA’s Safety Measurement System, and to how their safety scores are used. Under the new law, the FMCSA would have to submit a plan to Congress for improvement of the current Compliance Safety Accountability initiative, and implement it. During this process, current safety scores will not be published, possibly for a number of years. While the FMCSA is developing and implementing these changes, the Safer Trucks and Buses Act would require that the safety scores of motor carriers be taken out of publication. These scores are currently available to the public on the FMCSA’s Safety Measurement System website. If this bill becomes law, those scores will no longer be published, or allowed as evidence in liability cases, until the SMS is revamped. Once the FMCSA had implemented their plan to improve the methodology of determining these safety scores, the scores will once again be made available to the public, and admissible as evidence of liability. 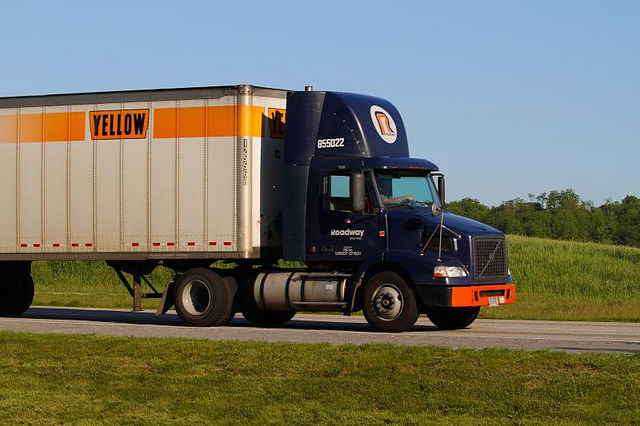 These changes, particularly regarding the publication and admissibility of the safety scores, could affect freight brokers and shippers as well as carriers. Freight brokers would temporarily lose access to these safety scores, while connecting shipments with carriers. Claims, and claim disputes, could potentially be affected if these scores are not allowed as evidence of liability. If passed, the Safer Trucks and Buses Act would give the FMCSA one year to formulate a plan and present it to Congress, and one year to implement those proposed changes. Introduced on September 18th, the Safer Trucks and Buses Act is currently under consideration still must be approved by Congress and signed into law, for these changes to go into effect. No matter what Congress decides, it’s imperative that carriers pay close attention to their safety record, and that freight brokers focus on fostering strong business partnerships with carriers whom they trust to deliver freight safely. Are you a freight broker with an opinion on the Safer Trucks and Buses Act? How has the FMCSA’s safety standards affected your business? Tell us about it in the comments!